We often see the greatest improvement from Golfers when they learn to allow for the same amount of effort with their Driver as they are using with their pitching wedge … and simply trusting the club to do the work! Though, at GMS we’ve found that many of the Golfers that feel as if they’re swinging too hard … are actually struggling because they decelerate with their Driver. Deceleration? Why Does It Feel As If You’re Swinging Too Hard? 2. your arms could be slowing down (because you’re trying to swing slower) while your body continues to move as it should – which may give you the feeling of “I’m getting too far ahead of the ball … I feel like I’m lunging at the ball”. Either way – it’ll appear to others (and to yourself) that you’re swinging too hard because the swing didn’t look smooth. Yet, in reality, all that’s happening is that either your arms or body is decelerating. And because you looked and felt so discombobulated – it feels and appears as if you’re swinging too hard. Yes, deceleration is often pegged to other shots/clubs such as chips, wedges and putting … but, it does also happen many times with Driver. Because the accumulation of constantly being told that you’re swinging too hard has Golfers standing over the golf ball repeating “swing nice ‘n easy, nice ‘n easy, nice ‘n easy”. Which may contribute to you decelerating. Fortunately, all that maybe happening is that your arms or body is decelerating. And because you looked so out of control – it appears as if you were swinging harder than you should. Though – if you’re body and arms are moving together at any speed – it would appear as if you had made a smooth golf swing. As the typical PGA Tour Pro swings his Driver at 120 mph and the average 90 shooter swings at 85 mph … yet, the Pro looks smoother while swinging at 35 mph faster! Believe me, I wish I could give you a guaranteed way to never swing too hard or too slow again. However, learning to have your arms and body working together is a great place to start! And … next week … we begin a new video series on how to get your body and arms working together for a smoother, more consistent golf swing. Be on the lookout for our next issue of Golf Improvement Weekly! The Monkey swings too hard, then swings too easy, then swings too hard, then …Go ahead, Be a Happy Golfer! This week … we’re going to start speaking about and demonstrating the ‘Cause’ of the issues creating frustration in your golf swing. In prior weeks … we’ve spoken about the ‘Effects’ that most Golfers are struggling to correct in their golf swing. How much have you focused on your Center of Gravity when practicing and/or playing? Well, if you haven’t … you should! Your Center of Gravity dictates how well your arms, hips and legs move together when swinging your golf club. What does a happy, successful Golfer think about and try to do in their golf swing? What does the frustrated Golfer think about and try to do? 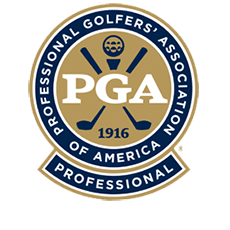 What Moves Your Golf Swing – Golf Improvement Weekly from Marc Solomon, PGA Professional on Vimeo. The over-taught golf swing often creates problems … rather than solving them. One of these swing issues is often mis-diagnosed as a ‘Cause’ … when in fact, it’s an ‘Effect’. Yet, the more things you try to incorporate into your golf swing … the more bouts of inconsistency you need to battle against. A huge number of Golfers tell us they have trouble shifting their weight & following through … which causes them to lose distance and accuracy! It seems like it should be such an easy thing to do … but, why do so many Golfers consistently have trouble finishing their swing? You’ve heard it a million times … and you’ve felt it happen more times than you want to admit! It seems like it should be such an easy thing to do … but, you can’t consistently control it even when you concentrate to make sure you it doesn’t bend. Here it comes again. That big old slice of yours. You knew it would show it’s ugly self again. You just didn’t know when! The story of your golf life continues. The agony of all agonies on the golf course. So instead of giving tips on how to stop slicing your golf ball like everybody else does, I want you to see what you’re up against. You know the old saying – “Know Your Friends, but Know Your Enemies Better”. If there’s one thing that haunts most golfers more than missing a 3-foot putt, it has to be slicing the ball off the tee. So this week I have written 2-different articles – the first being 52 Ways to Stop Your Slice and the second being If You Understand What Causes A Slice You Wouldn’t Need 52 Ways To Stop A Slice! So consider this a bonus section to Golf Improvement Weekly. If there’s one thing that haunts Golfers more than missing a 3-foot putt, it has to be slicing the ball off the tee. Fixing your slice can be a complicated task or it can be a simple solution – the choice is up to you.